Injen Polished Cold Air Intake Kit for 2016-2017 Focus RSs. 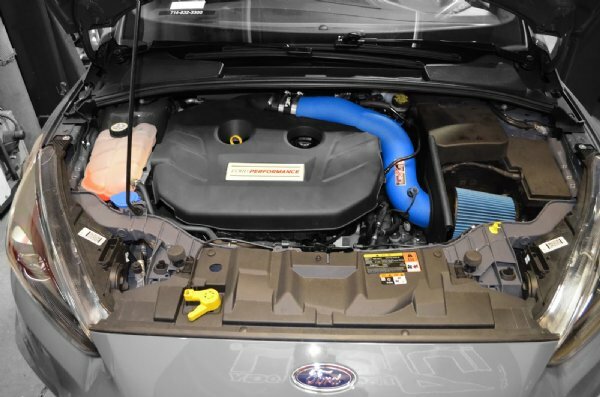 Enhance the power and performance of your 2016-2017 Focus RS with this Cold Air Intake Kit from Injen. This direct fit kit is available in your choice of finish and features a quick and easy installation! Increase airflow and get serious results with this awesome cold air intake from Injen. This is an SP intake, replacing every component in the OEM system, including the airbox and the intake pipe. The SP9003 includes a 3" aluminum pipe which routes all the way to the turbo, with all of the necessary parts to produce a perfect fit. The heat shield has a similar shape to the stock airbox, but is open on the sides and top, so that the filter is exposed to more air while also sealing the top of the shield against the hood, helping to block engine heat. It uses the factory air inlet ducts, grabbing air right from the front of your RS. Injen has put its intakes through miles of road testing and countless Dyno runs to ensure repeatable and reliable max gains of 17 horsepower and 20 ft-lb of torque. No cutting or modifications to factory components is necessary. 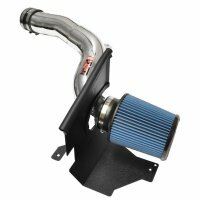 This air intake is a direct bolt-on for the 2016-2017 Ford Focus RS, and comes with all necessary hardware to allow for a quick and easy installation.